Christmas is just around the corner! To celebrate, we’ve compiled a list of our favourite Christmas apps. From how to make the perfect Christmas meal, to organising your Christmas shopping list, these apps offer something for everyone! From the large shopping centre crowds, to remembering who to buy for, there’s no denying that Christmas shopping can be stressful. A simple and fun Christmas shopping list app, Gift It will help you organise and keep track of what you need to buy, who you’ve already bought for, and your budget per person. 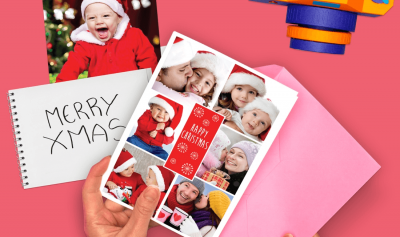 Make Christmas extra special with personalised greeting cards. 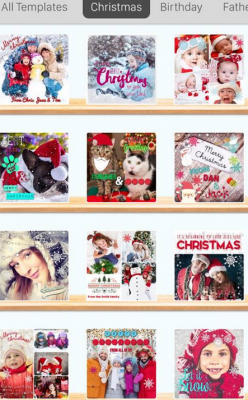 The Inkly Christmas Card app allows you to create and send physical greeting cards straight from your phone or tablet. With over 3000 designs to choose from, you can add photos and even upload your own handwriting to create unique designs. While the app itself is free, please note that it does cost a small fee to send your personalised greeting cards. If printed greeting cards aren’t for you, you can also add the Christmas Spirit to any photo, by using one of the many pre-existing Christmas templates to create a ‘Moment’. Moments can be downloaded or shared on social media. This list would be incomplete without the inclusion of a Christmas countdown app. 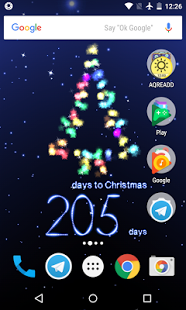 While there are hundreds to choose from, we recommend Christmas Countdown, a 3D Live Christmas Wallpaper which is complete with music and a countdown which explodes into bright stars when you tap it. While the app is free, you can purchase the premium version for additional features and customisation. Hosting Christmas Dinner this year, but don’t know what to cook? 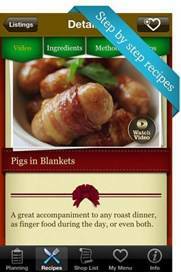 Perfect Christmas Dinner could be the app for you! This iOS app brings you expert guidance from professional chefs at the Ashburton Cookery School, one of the UK’s leading culinary schools. With over 25 video recipes including how to cook the perfect roast potatoes and the most succulent turkey, this app is your step-by-step guide to cooking a delicious and memorable festive meal. Great fun for the whole family, Elf Yourself allows people to “elf” themselves and become the star of a personalised video featuring the user’s very own photos on holiday elves. 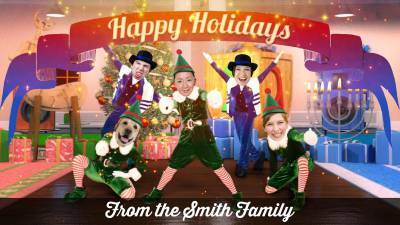 This year Elf yourself is back with additional dances, and new behind the scenes content. 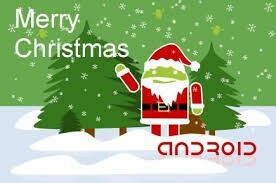 What are your favourite Christmas apps? Let us know in the comment section below!